WASHINGTON — Automobile and truck manufacturers should develop a standard practice of installing collision avoidance technology in their vehicles, according to the National Transportation Safety Board. Increased use of collision avoidance systems made the NTSB Most Wanted List of Transportation Safety Improvements. The agency’s list for 2019-20 was unveiled Feb. 4. The Most Wanted List identifies the biggest safety improvements that can be made across all modes of transportation, including highway, pipeline and hazardous materials, and rail. 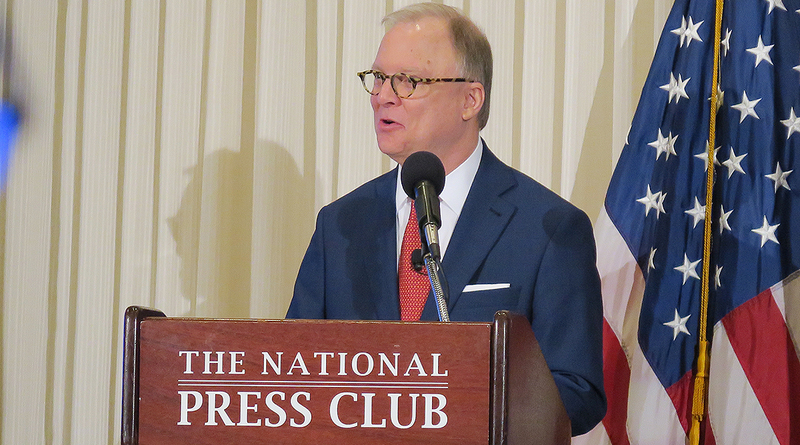 NTSB Chairman Robert Sumwalt said such technologies could save 1,000 lives a year. Medical fitness and sleep apnea tests are important issues for members of the trucking industry. Truckers often drive routes that force them to sleep away from home and, because of their largely sedentary lifestyles, they risk becoming obese and developing diabetes and sleep apnea. Sleep apnea disrupts rest, which can lead to fatigued drivers. Sumwalt said that fatigue played a role in 90,000 accidents in 2015. Vice Chairman Bruce Landsberg said many people with sleep apnea don’t know they have it and improved screening procedures can help people be aware of their own conditions, thus improving their well-being and the safety of everyone else on the road. Improve the safety of Part 135 aircraft flight operations. Operators who work under Part 135 of the Federal Aviation Regulations include those who fly air medical service, air taxis and charter flights. In 2016, the Federal Motor Carrier Safety Administration and the Federal Railroad Administration took the first steps to require better screening for sleep apnea. However, last year, the agencies withdrew the measure, saying they would seek other methods to address the issue. “That is unacceptable because, until there’s such screening and treatment for operators, people will continue to die because of obstructive sleep apnea,” Sumwalt said. NTSB is an independent federal agency that determines the probable cause of transportation-related accidents and promotes transportation safety. The board has five members, each of whom is nominated by the president and confirmed by the Senate. NTSB’s unveiling event was initially scheduled for Jan. 9, but was postponed because of the partial federal government shutdown. There were 97 accidents that occurred during the shutdown that NTSB was not able to initiate investigations on, it said. The board is pressing on with those investigations now. In many cases, wreckage from crashes that occurred during the 35-day shutdown had been moved to warehouses or storage facilities. Sumwalt said that some perishable evidence may have been lost during that window, making it harder for the board to accurately respond to questions from the families of those who have lost loved ones.